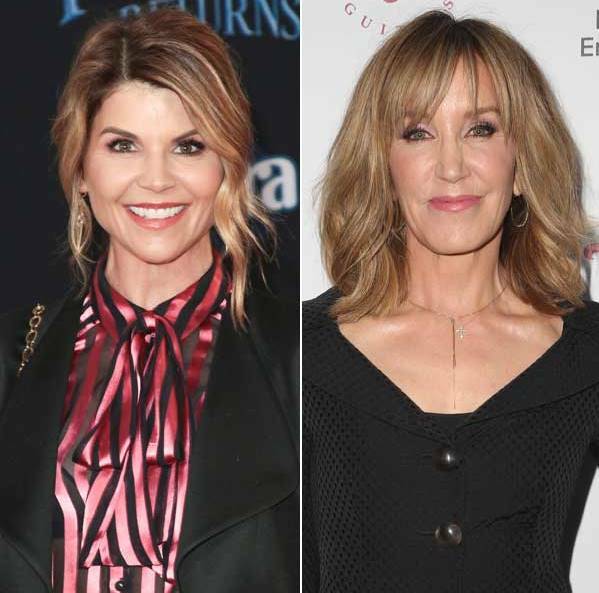 The college admissions scandal has entered its next phase—trial and sentencing. The first round of defendants, including Felicity Huffman, have plead guilty and await sentencing. Huffman faces up to twenty years in jail, but because she accepted a plea deal, the prosecutors will recommend her sentencing fall on the “low end” of the sliding scale of justice. That may translate to a fine and “supervised release”, AKA no real jail time. Lori Loughlin is facing charges including a more serious count of money laundering, and she has not entered a plea yet, but I doubt she goes to jail, either, although the media is making it sound like a strong possibility. Does anyone expect white collar criminals, many of whom are mega-rich, famous, or both, to do actual jail time? And if so, can I sell you this bridge in Alaska? I’ll be shocked if anyone other than the con artist who built the scam, Rick Singer, goes to jail. Since this scandal broke, I expected it to work out with fines, probation, maybe some community service. But no one will go to jail, at least not among the parents. That’s not how America’s prison industrial complex works. Wealthy people rarely do time. You have to, like, eat three whole people before a judge puts you in an actual, honest to god prison. If you’re wealthy, and white, there is a whole system of fines and synonyms to avoid prison. Probation, supervised release, deferred sentencing—all of them mean the same thing. Jail is not where these people end up. These people get slapped on the wrist and move on with their lives. But even though I never expected jail time for a rich people mail fraud scheme, it will be incredibly irritating that a case that starkly represents class entitlement run amok could be closed with a series of plea deals representing, well, class entitlement run amok. Not very satisfying given how deeply offensive many of us find this scam. I’m offended on behalf of the kids who worked hard and didn’t get in because Aunt Becky’s daughter is too good for state school. I’m offended for the kids who scraped application fees together and never stood fair chance. And I’m offended that this system is only getting worse. I went to USC, for sure we were aware of some kids who got in with an advantage, from donor dads to famous surnames to things like “lacrosse camp” and “private Mandarin tutors”. But I, stupidly I guess, thought that was the worst it could be. Some people are rich enough to buy a library, some people can afford to play water polo—or actual polo, a sport that is largely supported by donations at USC—but there is still room for merit, right? After all, if the school accepted nothing but dum-dum legacy kids, their reputation would be sh-t. Well no, because entitled, status-obsessed parents will do everything up to and including fraud to get their kids in. There are so many parents willing to do straight up crime to game the system that a con man built a money-laundering empire out of it. So no, the obvious rich people ploys are not the worst it can be, the worst it can be turns out to be STRAIGHT CRIME. Like Duana, I feel sorry for the kids who have had their relationship with their parents irreparably altered. But I am gutted for the kids who gave it everything they had and didn’t get in and thought it was their shortcoming that kept them out, and not a total system failure cheating them out of their chance.